After spending the last six weeks exploring the mountains, we reluctantly left the majestic peaks behind and headed down, down, down. All the way down to the outskirts of Denver. The first thing we noticed upon descending nearly 5,000 feet was a blast of hot air- something we forgot existed after spending so much time at high altitude. The second thing we noticed was a serious lack of trees, and the third were the roads clogged with cars in all directions. Ahhh! What have we done? I miss the mountains already! Originally when we talked about spending a few months in Colorado we decided to skip the front range area all together. 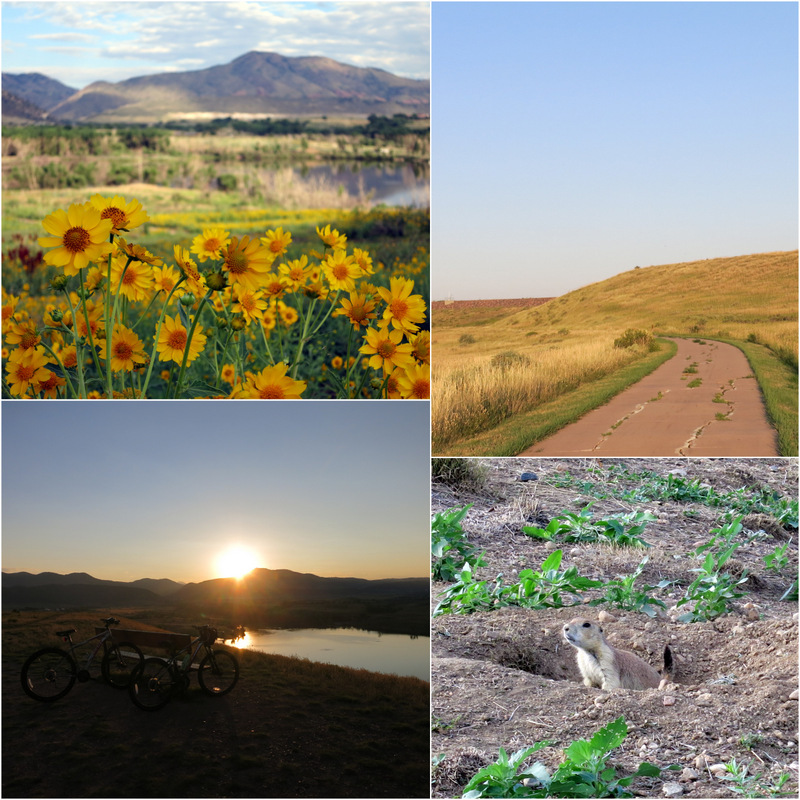 For us the Colorado experience is about hiking in the mountains and exploring small towns – not traffic and heat. But then we found out that one of our favorite bands was playing at Red Rocks, and it seemed too good of an opportunity to pass up. So we made a reservation at the closest campground to the venue and prepared ourselves for a week near the city. 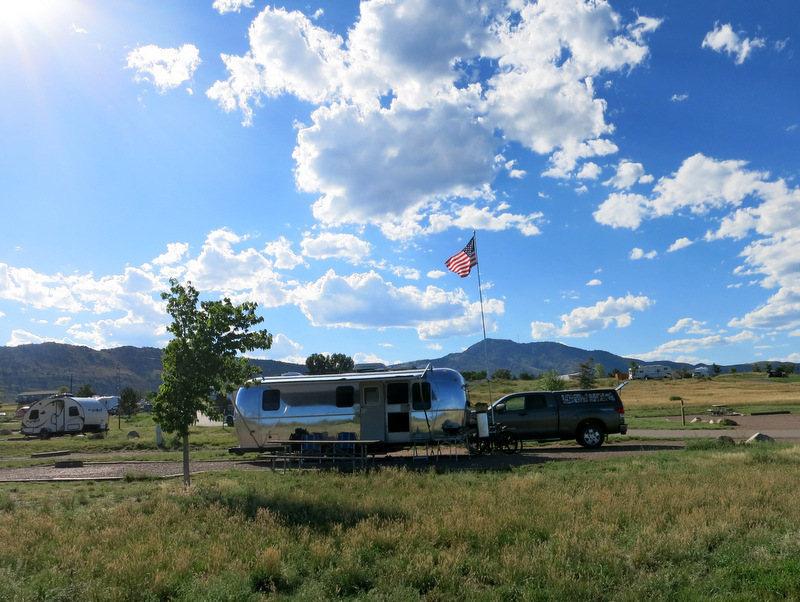 Bear Creek Lake Campground is only a 15 minute drive from Red Rocks, and a mere 10 minute drive from more shopping and dining options than is healthy for any human to live near. 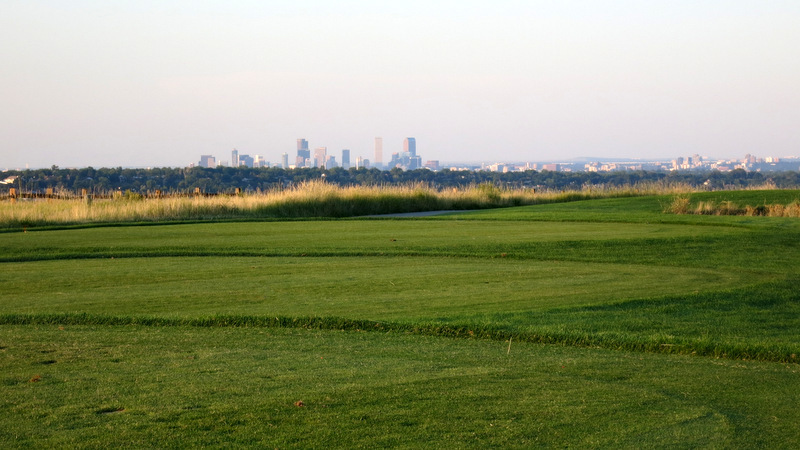 It’s located in a 2,600 acre park surrounded by miles and miles of trails, a lake with a beach, a golf course, an archery range, horse stables and much more. The campground itself was more than adequate (despite the lack of trees), with large, gravel sites surrounded by grass. You only get an electric hook-up, but there is an onsite dump station, lots of water spigots, and a few nice shower rooms. Considering the camping fee is only $20 for a site this close to the city, I think that’s a pretty good deal. We didn’t even come close to taking advantage of all the park had to offer. No horse rides, archery, or swimming at the lake. But we did use the trails several times. They had a nice mix of paved and dirt trails that wound around the park, making for a few fun evening and early morning bike rides. We really didn’t have time for any other in-park fun because our week soon filled up with a whirlwind of social activities. It started on the very first day we arrived with a visit from some family friends from Connecticut. It was great to catch up after not seeing them for so long. 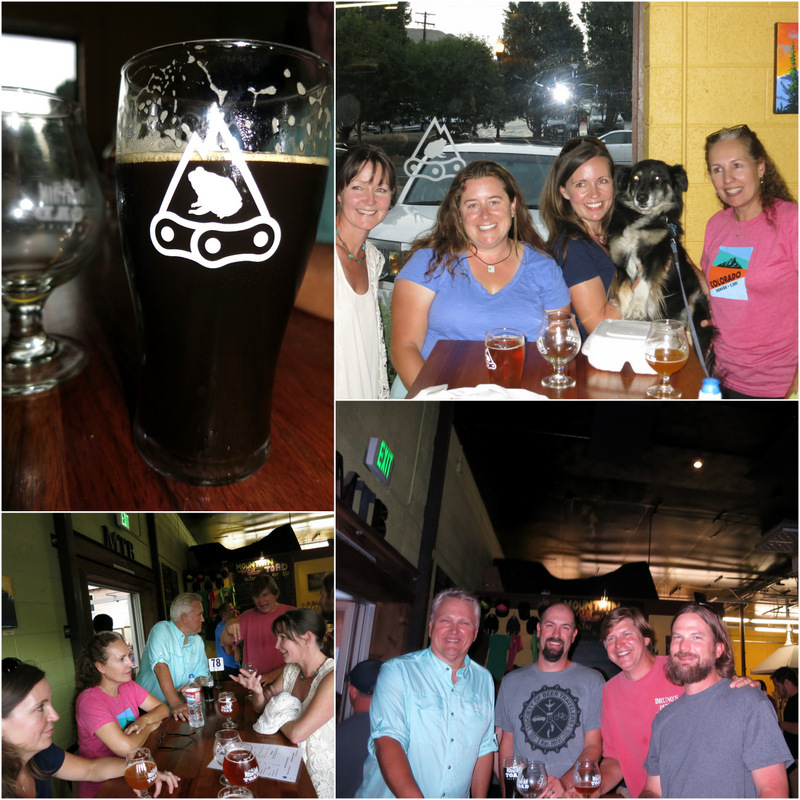 Next we attended an RVers gathering in nearby Golden at Mountain Toad Brewing. 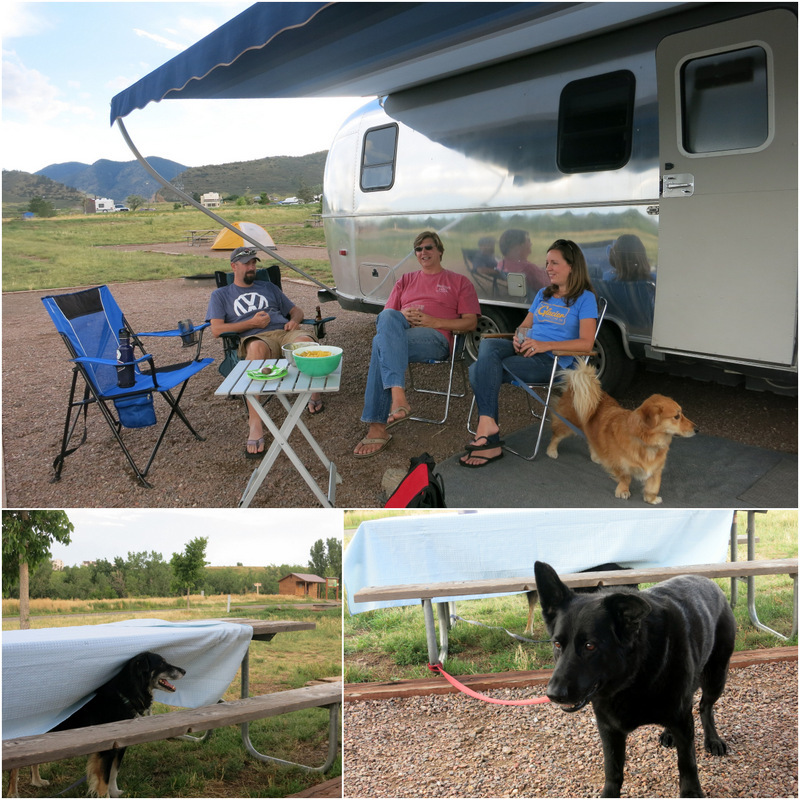 It was a meeting of new and old RVing friends including Ingrid & Al who we met in Tucson way back in February of 2013, Jennifer & Deas who we hung out with last year in Mammoth Springs, and Robin & Jeremy who we were meeting for the first time. As is always the case, everyone got along fabulously and the conversation and drinks flowed freely. 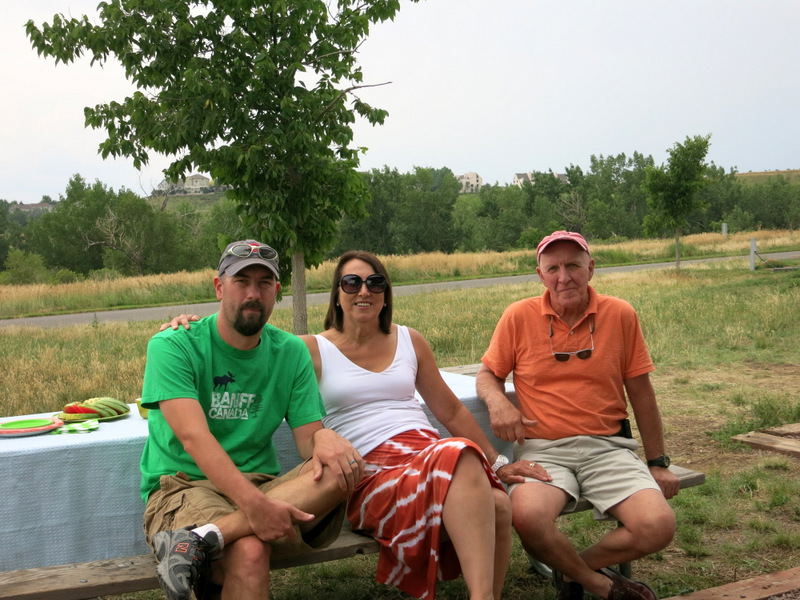 Later in the week we had the Nealy gang over for a dinner of tacos and homemade cupcakes (thanks Deas!) The weather cooperated and we had a very pleasant evening outside in our gigantic yard. The last time we saw Jennifer and Deas it was a very, very cold October week in the eastern sierras and we had to huddle inside their rig to stay warm. They brought along their three pups who hung out with us for a bit before being banned to the car for meal time. It was awesome to spend more time with all of them. So often we meet people on the road and then never know when, or if, we will see them again. So even though it was close to a year later, I am so happy we crossed paths again. 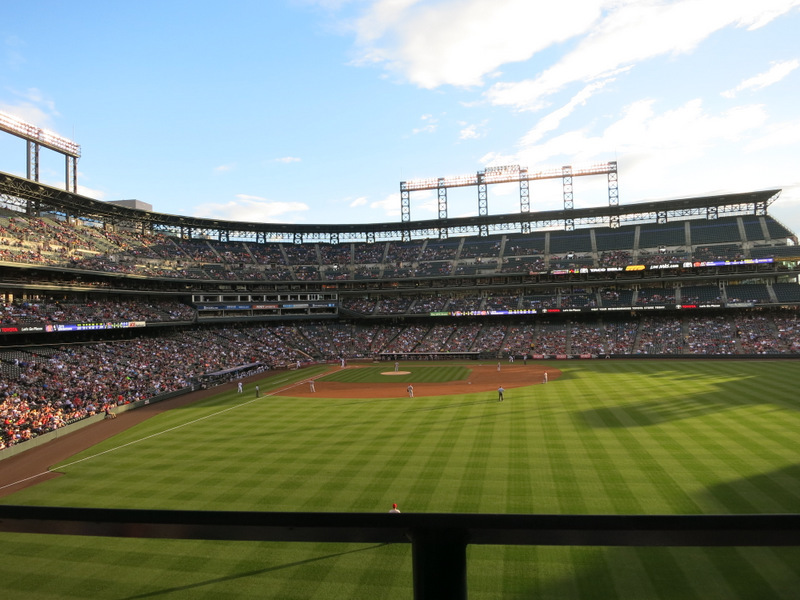 The Rockies don’t have a very good record this year, but they did win that night, which always makes the game more fun. Also, Tim entertained me with a hilarious running commentary about the players based on their stats and social media info displayed on the giant screen. I mean if your twitter handle is @chuck_nazty it’s a given that we’re gonna refer to you as Chuck Nasty all night. You asked for it. 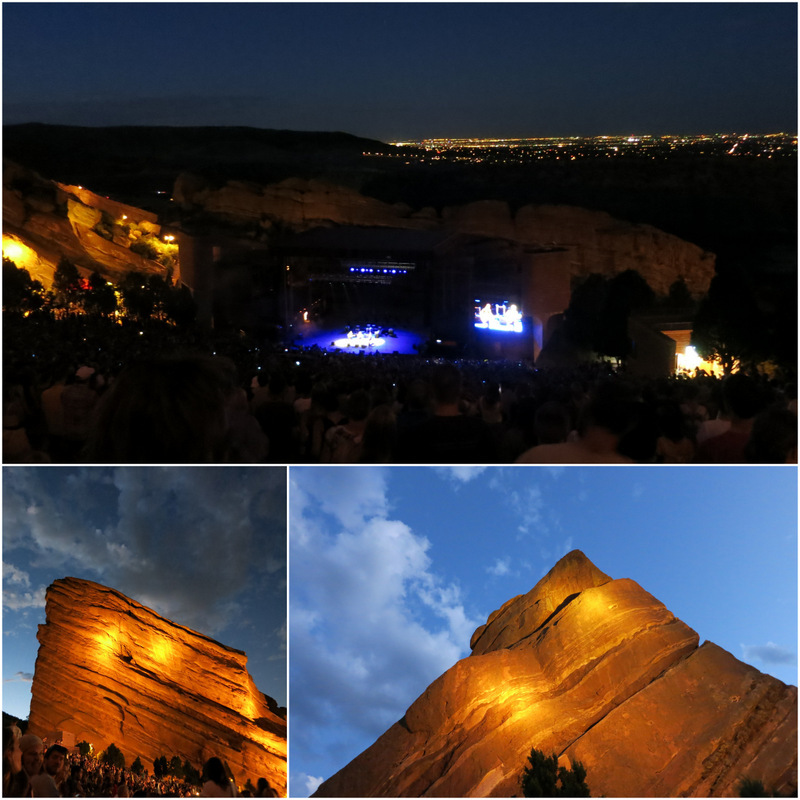 Our final activity for the week, and the whole reason why we came to Denver, was an amazing show at Red Rocks. I have forever wanted to see a show at this highly praised venue, and let me tell you, it did not disappoint. We were there to see The Devil Makes Three, who some of you might remember we saw last winter in Phoenix. They played with two other bands, Deer Tick (not my favorite), and the headliner, Trampled by Turtles. We like Trampled by Turtles quite a bit and listen to them a ton around the house, but we both agreed that The Devil Makes Three is a much more lively concert band and would have preferred if they were the ones who played for the longest. No complaints though, because I think you could see just about any band here and enjoy yourself. We of course went for the cheap tickets and ended up up way at the top of the amphitheater in the general admission section. That’s okay because there really aren’t any bad seats at Red Rocks, and the fact that we were so far from the stage was more than made up for by the incredible views. Near the end of the show the moon came up and glowed red over the lights of the city. Can you see it on the horizon? I would not have guessed that was your style music, look like great bands (I looked them up on youtube). One of my favorites is Here Comes the Mummies which put on a pretty awesome show. 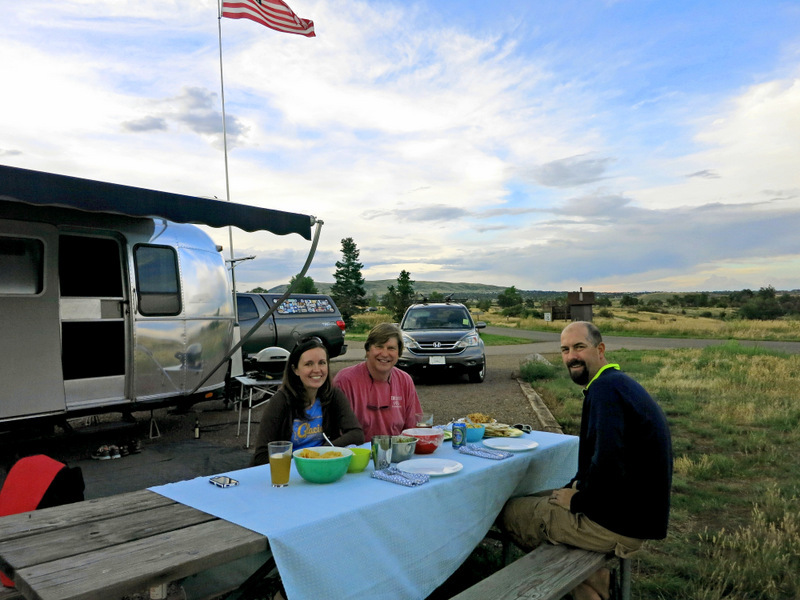 Looks like a nice campground, will add it to my list for when we start full-timing – in the near future. Just wanted to say is you do a great blog, always really enjoy reading about your travels. I am almost afraid to ask what you thought our style of music was :) I’ll have to look up the band you mentioned. So glad to hear you’re enjoying the blog! 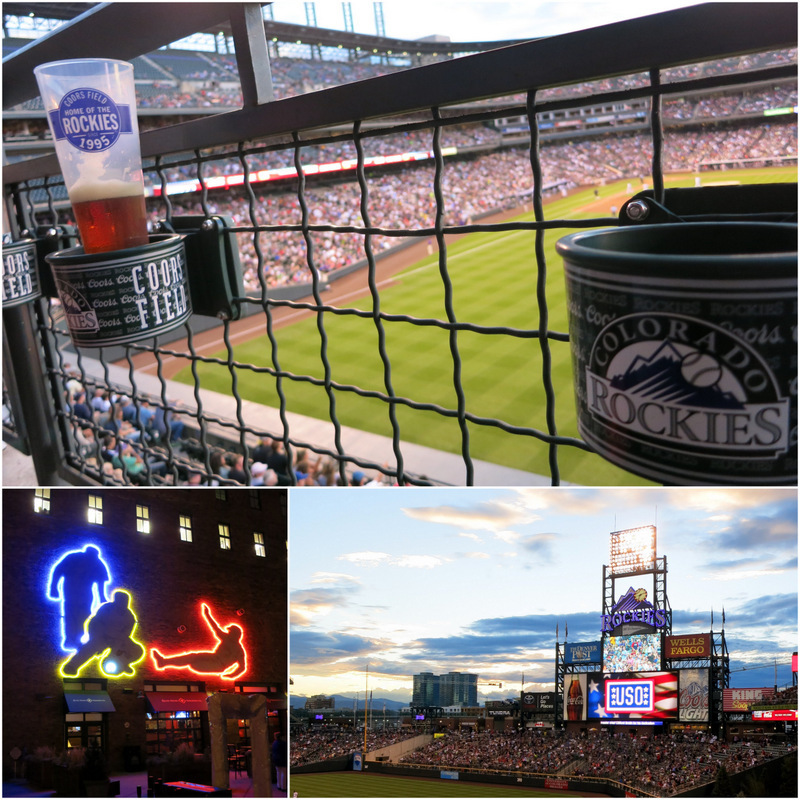 Awesome recap of Denver! 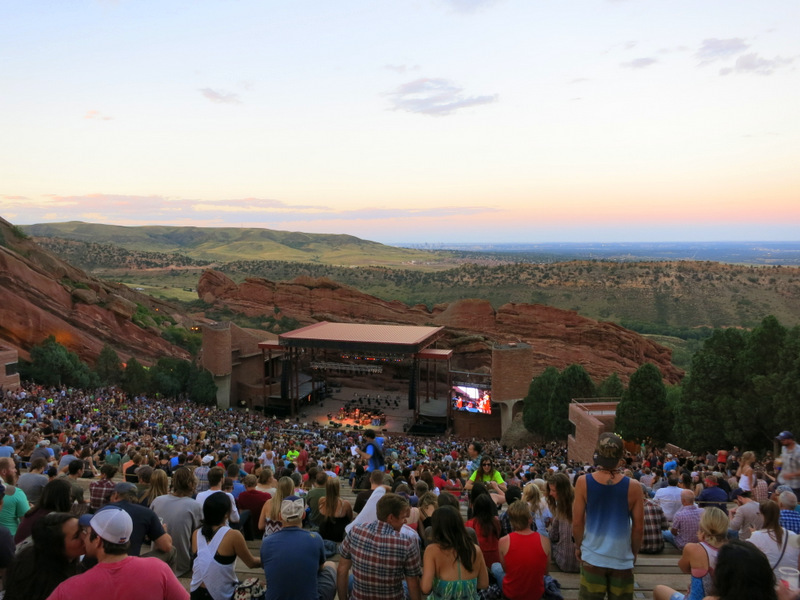 I am definitely adding Red Rocks to our ever expanding list of “must sees”! Yes! Red Rocks is a definite must see. You can also go there and hike the trails during the day. 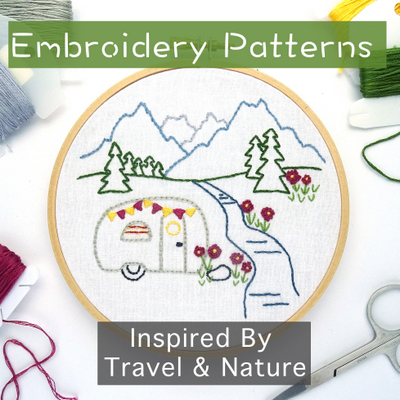 How wonderful to connect with so many RVers. Even though no longer in the mountains, looks like you had lots to entertain the two of you. 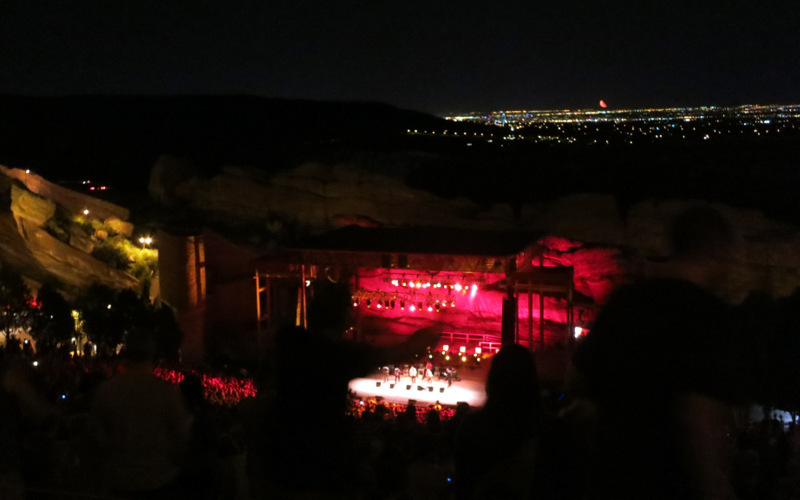 We love the Red Rocks venue and saw Norah Jones there several years ago.